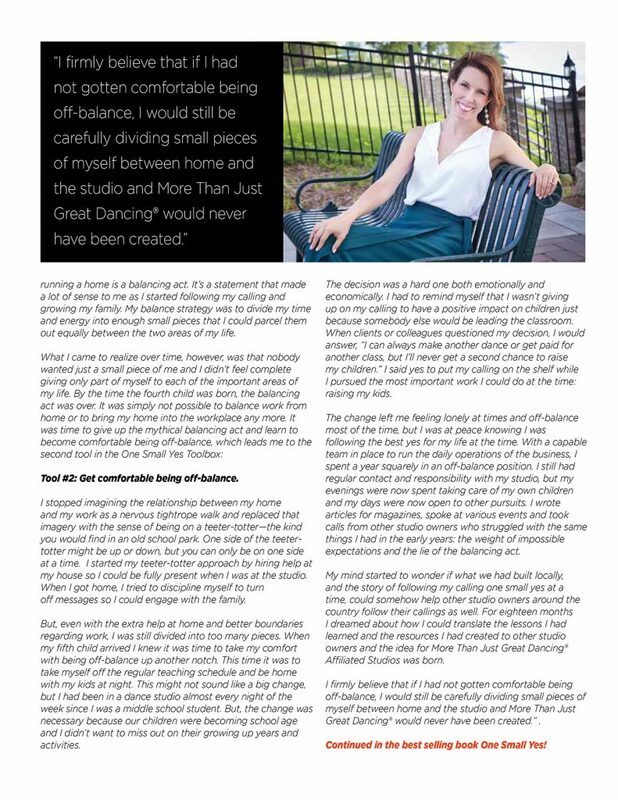 For this Misty Minute, I’m excited to share with you a sneak peek inside the pages of my book. I wrote this book with an audience of one in mind…but, God had other plans. 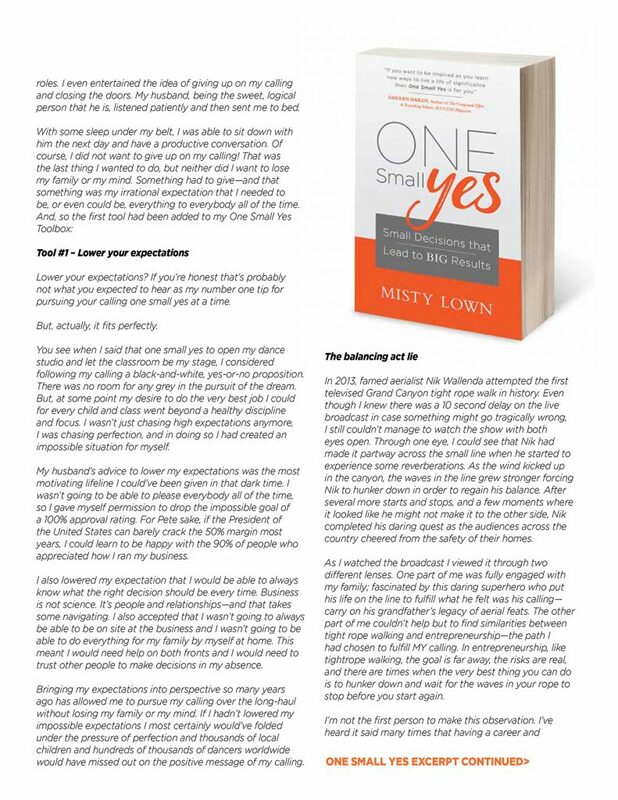 It’s been a year since its release as #1 on Amazon and now ONE SMALL YES is available in print at every major US book retailer. 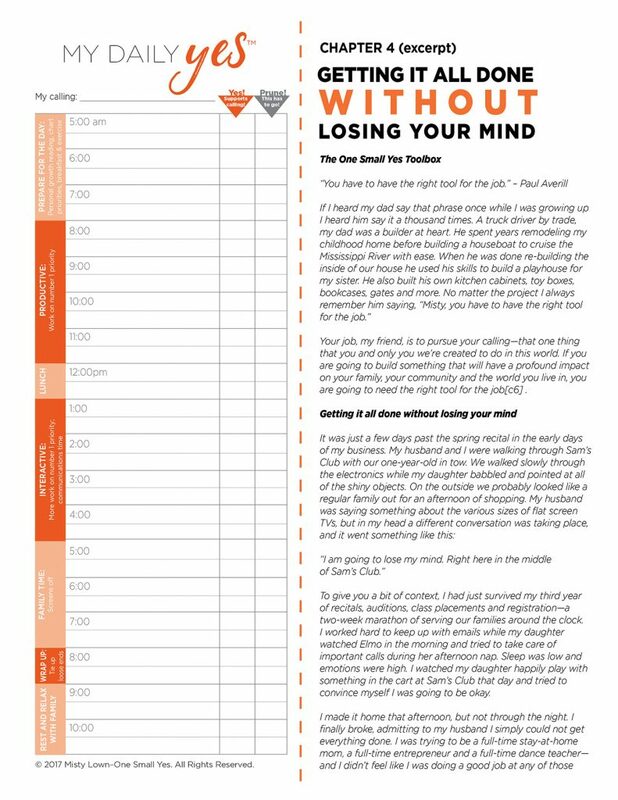 Check out this excerpt from one of my favorite chapters entitled “Getting it all done without losing your mind”.